The current-gen (PS4, Xbox One and Wii U) has already witnessed many delays, and 2015 will be up to its standards. We foresee a good amount of delays for this year too, many of those won't surprise you as a long-term development process is often required and expected for that kind of AAA game. Give a look at our full list, then, and you will discover that more than a couple of publishers are actually lying about their release dates or don't even know yet that their titles won't manage to ship in 2015. Probably we'll see several trailers ending with "2016" at E3 2015 and the next Gamescom, so prepare yourselves. Ubisoft keeps saying that Tom Clancy's The Division will be out in 2015 but, as we approach the middle of the year, we are increasingly seeing the French publisher pushing on Rainbow Six Siege instead of it. 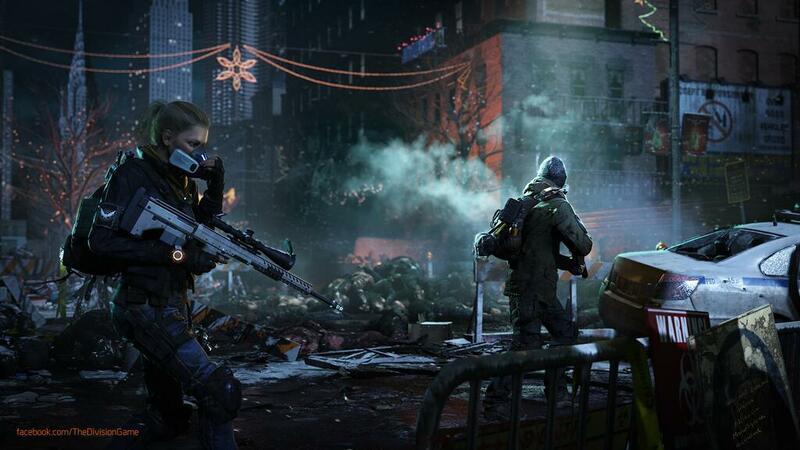 That's why, apart from rumors about the status of the development process (many still talk of an alpha stage again to be faced, and that's not usual for an MMO about to be release), it's hard to believe that The Division could ship before Spring 2016. The delay will probably be made official at the next E3/Gamescom. If we don't see Assassin's Creed Victory officially unveiled in April, then it's extremely probable the game will be delayed to 2016. It makes even more sense after the announcement of Assassin's Creed Chronicles, a trilogy made of low-profile, arcadey games by Climax Studios in partnership with Ubisoft Montreal. Tom Clancy's Rainbow Six Siege and Assassin's Creed Chronicles could be enough for the French publisher, but it's something we will find out at the end of this month in my opinion. Platinum Games keep working quietly on Scalebound, the dragon-based action game in the making exclusively for Xbox One. We have had just a few updates so far and a new trailer is expected to be a part of E3 2015 Microsoft's line-up, but we don't know at what point the development process really is. It's hard to believe we'll see any release date during the Los Angeles' event and, if that date is really missing in action for the next couple of months, Scalebound will surely be delayed to 2016. Here we are, yet another Xbox One exclusive that won't see the light of the day in time for 2015. The rumor has been around for a couple of months and neither Microsoft nor Remedy have debunked it, so they're probably trying to make it pass smoothly, without controversy, after seeing what happened to Sony and Naughty Dog with Uncharted 4: A Thief's End. We'll see just a generic "2016" in E3 2015 trailer and then we'll learn the real release date of Quantum Break. Nintendo could contradict me but how is it possible that they are about to release a game they have never really shown in public? Star Fox Wii U is going to miss 2015, that's almost for sure, even though Nintendo has already lost The Legend of Zelda on his home platform and they could be trying to make it for this year anyway... failing. Just Cause 3 is the next iteration of Avalanche Studios' long-running franchise, its debut on the current-gen consoles is officially slated for 2015. This release windows is unlikely, because the Swedish developer has never shown the title running in-game live or with any video, simply using a few screenshots to come up with something good for the press to create some hype. Furthermore, Avalanche has Mad Max game in development, too, and it was already delayed once: next time it will be Just Cause 3's turn, I guess. DICE will finally show what's next in the Star Wars Battlefront series on April 17, during Star Wars Celebration, both with a new trailer and in-private, form behind closed doors. While I am sure this is going to be amazing, I don't think the game will ship in 2015 as previously slated, since the game would need some more time to be well supported by retailers (pre-order, season pass, etc.) and testing by both gamers and the Swedish software itself. The problem is EA needs something to cover the Holiday season, so maybe DICE could have to rush – one more time – the launch.